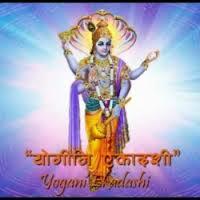 Yogini Ekadashi is one of the auspicious occasions for Hindus to cleanse themselves of all past sins and to conduct their life in a more effective manner in the future. This day is crucial for people who are attracted towards materialism and need to be nurtured towards the path of spirituality. It is regarded as the most iconic days for observing fasts in the most sacred way.